Xherdan Shaqiri got his name on the scoresheet right at the last minute this evening, as the midfielder scored Liverpool’s third in their 3-1 win vs Burnley at Turf Moor. 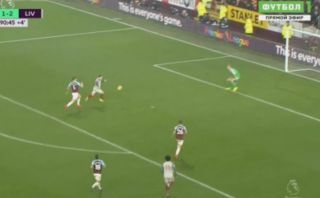 The goal came after Alisson through the ball to Daniel Sturridge, who then found Mohamed Salah. The Egyptian then lobbed the ball over the top for Shaqiri, who finished excellently to wrap up the win for the Reds. It was a fine team move all round from Liverpool, as they manage to keep pace with Man City at the top of the table with the win. Here’s a clip of Shaqiri’s goal. What a counter attack from Klopp’s side!